A guided whale watching trip out of Ketchikan, Alaska gives visitors to the area a unique opportunity to interact with remarkable animals, and take in the sights that not many people have been lucky enough to experience. Whales are among the most spectacular of creatures. With the blue whale species weighing as much as 144 tons (or the weight of about two thousand men), whales are the largest animal to have lived on Earth. To scientists’ current knowledge today, some species of whales are larger than even the biggest of dinosaurs. To put it in perspective, the heart of a blue whale is about the size of a Volkswagen Beetle. When in Southeast Alaska out on the water, you never know what you’ll see! Let’s face it, with hectic work schedules and so much to be done every day, it can be difficult to set aside enough quality time with the people who matter most. The days are long, but the years are short. Planning a fun, exciting adventure away from it all is always worth it. 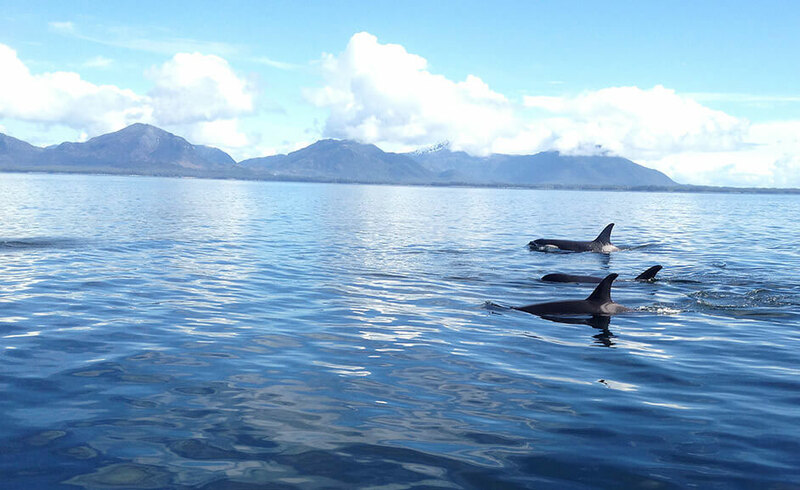 A Ketchikan whale watching expedition is just one excellent way of accomplishing this endeavor. Ketchikan is a popular destination for travelers all over the world for good reason. We are a convenient 90-minute flight away from Seattle, and the most southeastern city in the state. Many cruise lines stop in our area, and there are so many breathtaking views to take in. Out on the water, you can reconnect with those closest to you and try something new together. While there may be other companies competing for your attention to utilize their whale watching services, Anglers Adventures stands out from the rest. With us, you can enjoy an intimate voyage with only your closest friends and family in a boat with only 4 to 6 people. You can take in the beautiful sights in a comfortable F/V Sierra Dawn which features a raised heated cabin, the latest electronics, and a private bathroom. Our captain is truly passionate about fishing and his enthusiasm for it all will surely rub off on you. Expedition after expedition, our customers can’t say enough about how thrilled they were to reserve a charter boat for whale watching with Anglers Adventures. With so many exciting opportunities awaiting you, why not start planning a guided whale watching expedition today? To find out about our availability, call Brian at (907) 254-0880, or email him at brian@anglers-adventures.com.